Below you fill find all funeral homes and cemeteries in or near Stoughton. Stoughton is also known as: "Birthplace of American Liberty". Zip codes in the city: 02072. Some of the notable people born here have been: Kerry Keating (coach and basketball coach), Shawn Michael Phelan (actor), Stephanie Grant (writer), Mike Viola (musician and record producer), Lori McKenna (songwriter and singer), and Baylee Ricci (actor). Stoughton /ˈstoʊtᵊn/ (official name: Town of Stoughton) is a town in Norfolk County, Massachusetts, United States. The population was 26,962 at the 2010 census. 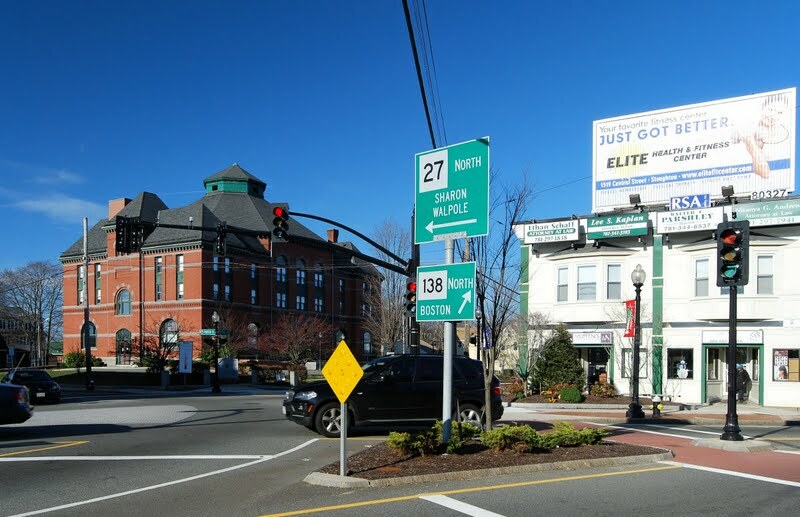 The town is located approximately 17 miles (27 km) from Boston, 25 miles (40 km) from Providence, and 35 miles (56 km) from Cape Cod. It was disclosed by New Haven Register on October 26th, 2018 that Daniel J "Dan" Sullivan perished in Connecticut. Sullivan was 79 years old and was born in Stoughton, MA. Send flowers to express your sympathy and honor Daniel J "Dan"'s life. It was noted by Register Guard on February 4th, 2018 that Phillis Marion Mayes (Audlee) died in Eugene, Oregon. Ms. Mayes was 88 years old and was born in Stoughton, MA. Send flowers to share your condolences and honor Phillis Marion's life. It was noted by South West Times Record on November 29th, 2017 that Mark Brunyslaw Piepiora perished in Ft Smith, Arkansas. Piepiora was 51 years old and was born in Stoughton, MA. Send flowers to share your condolences and honor Mark Brunyslaw's life. It was written by Sarasota Herald-Tribune on May 2nd, 2017 that Aaron Paul Figueredo perished in Port Charlotte, Florida. Figueredo was 46 years old and was born in Stoughton, MA. Send flowers to express your sympathy and honor Aaron Paul's life. It was noted by Daily Press on January 10th, 2017 that Kimberly Anne Ross died in Barstow, California. Ross was 51 years old and was born in Stoughton, MA. Send flowers to express your sympathy and honor Kimberly Anne's life. It was written by Orange County Register on June 17th, 2015 that Dorothy K "Dottie" Lewis passed away in California. Lewis was 88 years old and was born in Stoughton, MA. Send flowers to express your sympathy and honor Dorothy K "Dottie"'s life. It was written by The Foxboro Reporter on March 26th, 2015 that Deborah Hawkins died in Stoughton, Massachusetts. Hawkins was 64 years old. Send flowers to express your sorrow and honor Deborah's life. It was written by Providence Journal on December 11th, 2014 that Marian L Best (Vizard) passed on in Barrington, Rhode Island. Ms. Best was 100 years old and was born in Stoughton, MA. Send flowers to express your sorrow and honor Marian L's life. It was written by The Foxboro Reporter on October 9th, 2014 that Mark Henry Vandenberghe died in Stoughton, Massachusetts. Vandenberghe was 70 years old. Send flowers to express your sympathy and honor Mark Henry's life. It was disclosed by The Foxboro Reporter on July 3rd, 2014 that Lorraine M Foxx (Smigliani) passed away in Stoughton, Massachusetts. Ms. Foxx was 79 years old. Send flowers to share your condolences and honor Lorraine M's life. They are thought to be the basis for the Declaration of Independence. In 1874 the Stoughton Public Library was established. Joseph Warren. The citizens of Stoughton pride themselves on their social activism. The population was 27,149 at the 2000 census. The official website for the city of Stoughton is https://www.stoughton.org/. They were married on Dec. 30, 1950 at St. James Church in North Stoughton ... of the Roberts & Sons Funeral Home, 30 South St. Donations in her memory can be made to CatholicTV, PO Box 919634, 34 Chestnut St., Watertown, MA 02471. Family owned and operated Farley Funeral Home and Cremation Service serves Stoughton Massachusetts and surrounding communities. Sheehan Funeral Home, Stoughton, MA 02072 A family owned and operated, full service funeral home serving the Stoughton, MA area. Listing all funeral homes in Stoughton, Massachusetts so you can easily send flowers to any location (same day delivery) or find any funeral service. We work with local florists and flower shops to offer same day delivery. You will find budget sympathy flowers in Stoughton here. Our funeral flowers are cheap in price but not in value.